Oh! It's the last week of September and I have yet to say what I've been obsessing thinking about all this month. I seriously can't believe how fast this month has flown by, and just how close the winter holidays actually are! I think I should start my present planning...I think I'm already behind! 2. Tim Tam Slams. I used to do these on my lunch breaks when I used to work at Starbucks. Ok, and most mornings. Ok, ok, ok...you got me, I also do them in the afternoons when I need a pick-me-up. They are highly addicting. And extremely yummy. I was first introduced to the Tim Tam Slam when my manager and I were sitting in the office talking about coffee tastings and how we could get customers involved in them. Coffee tastings (which is a must-do if you work in a coffee shop...and as often as possible) were a big part of my "coffee career" and it was always fun learning and trying to come up with the different ways you can enjoy a great cup of coffee and bring out the different characteristics of a roast. 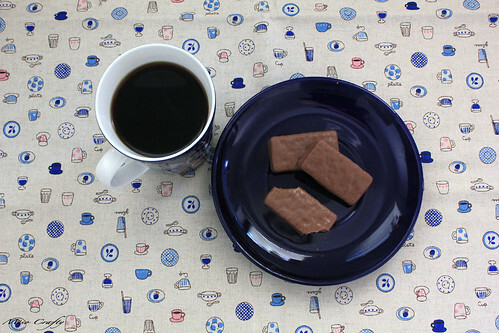 Tim Tam Slams are by far my most favourite of coffee pairings, I mean what's not to like? You got chocolate and you got coffee...and if you get the Caramel Tim Tams, even better! But shhhh! Don't tell Stroopwafels, Madeleines, or jelly beans that they've been bumped down the list! 3. Grey. As in the colour grey. Lately I've been all about the grey. 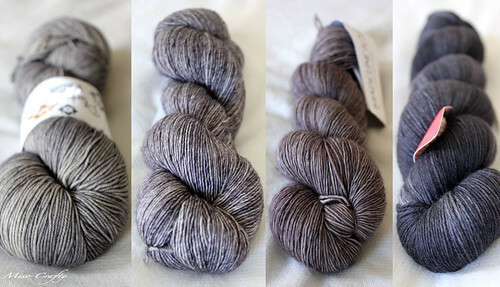 Even during those rainy, gloomy, and wet days that we've had so far I'm still thinking about grey yarns...as evident in my yarn purchases as of late. 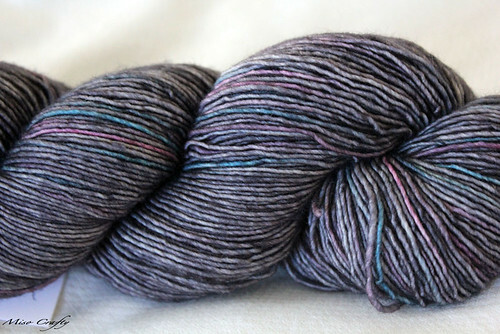 I think it all started with the Mystery Shawl and when I was trying to come up with colour combinations. I'm a huge fan of pairing bright colours with monotones. I was all about colours paired with chocolate browns, but of as of late the brown has been overtaken by shades of grey. 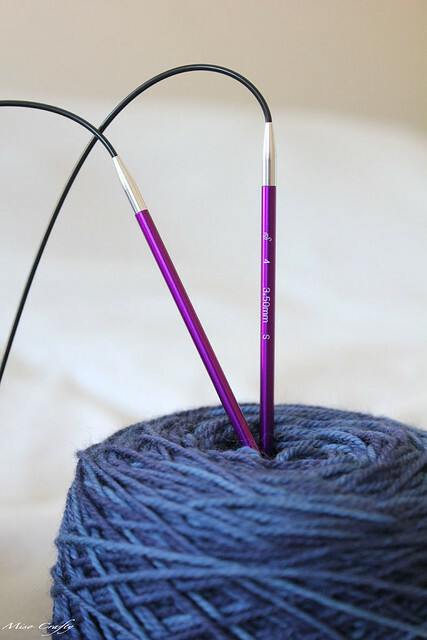 I'm thinking the next project I cast on for will have to be knit in grey yarn. It's the only way I can overcome this obsession! 5. Slow Cooker Recipes. I recently acquired a slow cooker in hopes that it'll help cut down my time in the kitchen cooking this fall and winter (so that I can spend more time doing other things...like fashioning food out of Play Doh with the Munchkin, and oh maybe get some more knitting time in?). Not to mention that there's nothing that I love more than a nice big bowl of soup or stew on a cold Autumn day. I could seriously live off of nothing but soups and stews. And I would. If only Brett would consider them meals. To him, soup is an appetizer. No matter how hearty the soup could be, it's just not a meal on it's own. Mind you, Brett is a meat and potatoes kind of guy. I'm determined to sway him over to Team Soup. So I've been trying to accumulate as many yummy slow cooker recipes as possible. They don't all have to be soups or stews, but I am limited to the fact that Brett doesn't eat beef. So a beef pot roast is kinda out of the question. I still have October's meal plan to sort out, so I'm open to any and all suggestions. Anyone got a good recipe? I'm all ears! Honoury mention should go to the purging mission that I'm still on. It's a slow process, but a freeing one. It's amazing just how much weight is lifted off your shoulders when you finally go through a stack of papers that's been on the desk for ages, just to discover that you didn't need any of it! As much as I would love to plow through the house in a power purge, I can only do little piles (or a shelf...ok, half a shelf) at a time. That's ok though, my goal is to get the top floor of the house sorted by the end of the year. Plenty of time. If I even get started on the main floor before the new year, I'll be laughing! The Dahlia cardigan is drop-dead gorgeous. I'm also having a grey moment... maybe it's something about the change of seasons, but I've started yearning to knit something grey and heathery, and soon! Slow cooker + chicken breasts + half a jar of bbq sauce. Slowcook. 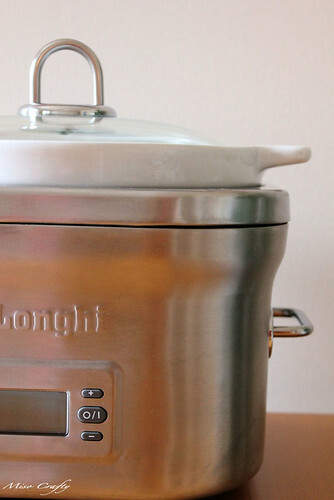 This is by far my favorite thing, and probably one of the easiest, to cook up in the slowcooker. To be a little bit more specific - usually 4-6 chicken breasts + roughly 1/2-3/4 of a bottle of "organicville BBQ sauce" (but you could totally use any BBQ sauce) + slowcooking for 6-12 hours. By the end of the cook you have the most MOIST and TENDER and arfing delicious chicken I've ever had in my life. Pulled pork tender, juiciness... yum.